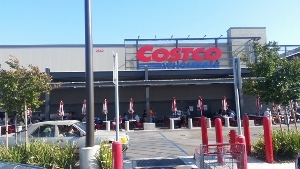 Our client, an engineer at a Department of Defense contractor in the El Segundo area, was shopping in the Hawthorne Costco. She was walking through the DVD section when she saw two DVD’s that she had enough money to buy. However, due to a sudden urge to do something dangerous, she placed them in her purse under some papers. As she confessed to loss prevention later, she “just wanted to see what would happen.” She was 42 years old. She then continued shopping at the store. Little did she know, but a loss prevention employee of Costco on foot was watching her every move (Costco does not use video cameras as many other stores do). He had seen exactly what she was doing. In 50 Words or Less: Hawthorne, client shoplifting several DVD’s from Costco, misdemeanor case filed in Inglewood Courthouse, case resolved for disturbing the peace (Penal Code § 415(2)) as an infraction.Our client then proceeded to the checkout, where she paid for certain items, but not the DVD’s in her purse, hidden under the papers. Within fifteen feet of exiting the store, loss prevention personnel stopped her. Our client, a Chinese national, was shocked. She had no prior criminal history, but was not a U.S. citizen. She feared being deported for petty theft (Penal Code § 484(a)), which is indeed a crime of moral turpitude. Loss prevention asked her why she attempted to steal and she confessed that she was just kind of curious to see if she could get away with it. This type of candor is not helpful, although our client expected her honesty to be seen as cooperative and perhaps win her release with just a warning. She was then taken by police to the Hawthorne Police Department, where she was booked and released on $1,000 bail on a signed promise to appear in a few weeks in the Inglewood Superior Court. This was extremely traumatic for her, as she was held for several hours while the Hawthorne Police Department ran her name and date of birth to verify she was not wanted on a warrant anywhere else in the United States. She then contacted Greg Hill & Associates. She said she was concerned with losing her job, which required a security clearance, if she had a conviction for a theft offense, a crime of dishonesty. Greg explained that he understood, as Greg himself worked for the Department of Defense for many years while in the Marine Corps as an aviator from 1987 to 1994. Greg understood that her ability to be considered trustworthy and thus cleared to review confidential, secret or even top security information was in jeopardy, and thus her job. The client was also worried about being deported due to a conviction for shoplifting, but Greg explained that she would not be subject to deportation proceedings for a first-time misdemeanor theft conviction. He also explained how he intended to defend the charge. Greg Hill described an online shoplifting prevention program that prosecutors appreciated seeing taken. The client then provided Greg with the certificate of completion of this prior to the arraignment. At the arraignment, Greg discussed the case facts with the Hawthorne City Attorney District assigned to the case. He showed her the online shoplifting prevention certificate of completion and discussed the issues with the client’s immigration status and security clearance at work if she had a conviction for theft. The prosecutor seemed to understand the situation and offered to amend the complaint to allege a violation of disturbing the peace (Penal Code § 415(2)) as an infraction, which would avoid a conviction for a crime of moral turpitude. The plea bargain offered was to have the client enter a “no contest” plea to such a charge, pay the Hawthorne booking fee and pay a $100 fine to the court. The client would also have to agree to stay away from all Costco stores for a year. The client accepted the plea bargain, relieved that she would avoid a misdemeanor conviction, which would have employment consequences, let alone one for a crime of dishonesty.